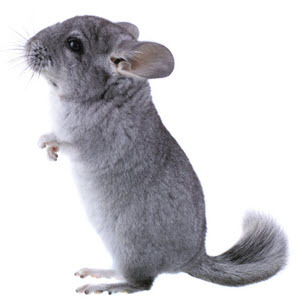 Compared to the long-tailed chinchilla, the short-tailed one has shorter ears, thicker neck and thicker shoulders, and, of course, a shorter tail. Chinchillas live in herds at high elevations in the Andes mountains. Some herds are found as high as 14,000 ft (4,250+ m) above sea level. Historically, chinchillas lived in Chile, Argentina, Peru and Bolivia, but today, only Chile has remaining wild populations. The natural range of the Chinchilla chinchilla is more to the north than that of the Chinchilla lanigera, although there used to be a bit of an overlap where they existed on the same longitude albeit separate from each other. To survive the harsh climate at these elevations, the chinchillas have developed a very dense fur. On average, 60 hairs sprout from each hair follicle. No terrestial mammal have a denser fur than the chinchillas. (Among the aquatic mammals, the sea otter has a denser fur.) Unlike many other rodents, chinchillas are born covered in thick fur. In the wild, chinchillas eat plant leaves, seeds, fruits, and small animals such as insects. Read more.. In the wild, chinchillas live in herds and are very social animals. The size of each herd vary, from just over a dozen members to around a hundred. Examples of predators that hunt and eat chinchillas in their native range are skunks, snakes, felines, canines, and various birds of prey. Seeking shelter in burrows or in crevices in rocks. Jumping away. They are agile jumper and can jump up to six feet (1.8 meters). Spraying urine as a defense tactic. Releasing fur if a predator has grabbed the chinchilla by the fur. Living in big herds, since 100 pairs of eyes and ears can keep watch better than just one set. Both species of chinchilla are listed as Endangered on the IUCN Red List of Threatened species. They used to be listed as Critically Endangered (short-tailed since 2006, long-tailed since 2008), but were reclassified to just Endangered in 2016 after limited recovery having been reported from some areas. Earlier, chinchillas lived in Chile, Peru, Argentina, and Bolivia, but now wild chinchillas are only known to exist in Chile. Extensive hunting for the fur trade made them rare as early as the late 1800s, and by the 1910s, researchers warned that the chinchillas were about to go extinct in the wild. In the 1950s, the chinchilla was believed to have gone extinct in Chile, but surviving populations were eventually found in the Antofagasta Region in northern Chile. This region is extremely arid and vegetation is very scarce, except for areas near the River Loa and scattered oasises such as San Pedro de Atacama. Much of Antofagasta are salt flats, lava flows or tephra fields (also of volcanic origin). As mentioned above, the chinchilla has the densest fir of all terrestrial mammals, and this has made it sought after in the fur trade. The fur is also very beautiful, have a super-soft feel and is considered luxurious. Local Native American people living in the area, such as the Chinchas, have a long tradition of wearing chinchilla fur, but the large-scale trans-Atlantic trade in Chinchilla fur did start until after the arrival of Spaniards to the region in the 1500s. A single full-length coat made from chinchilla fur typically requires 150 pelts or so, since each chinchilla is so small. Today, chinchillas are farm-raised for the fur trade, but illegal poaching of wild chinchillas continues to be a problem and hampers the animals’ recovery in the wild. 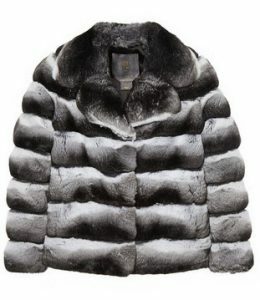 Chinchilla fur is traded as a commodity and it is possible for companies to hedge themselves against future price increases on the chinchilla fur market. The commodity see little trade and there is as far as we know no financial instruments available based on chichilla fur. We reached out to several international binary options brokers such as IQ option, Nadex and 24Options and none of them allow you to trade financial instruments based on chinchilla fur or any other fur. Chinchillas have been used as medical research animals since the 1950s. Examples of research fields where chinchillas have been used, or are currently being used, are listeriosis, gastrointestinal disease, Chagas disease, Yersinia-caused disease (plague), and Pseudomonas-caused disease. The auditory system of the chinchillas has also been researched extensively. Just like many other rodents, chinchillas are kept as pets. Domesticated chinchillas are believed to hail from the Long-tailed Chinchilla (C. lanigera). Compared to C. chinchilla, the Long-tailed Chinchilla has a longer tail, bigger ears and a thinner body. Chinchillas have many adaptations to handling cold, but are not good at coping with heat, which must be taken into consideration when they are held in captivity. It is recommended to not expose them to temperatures above 70 °F (21 °C), although they can typically handle somewhat higher temperatures than this for short periods of time. The teeth of a chinchilla grows perpetually, so the pet must be given ample opportunity to chew and wear its teeth down just like it would in the wild. Wild chinchillas clean themselves by taking dust baths, and pet chinchillas should therefore be provided with suitable dust for this purpose. Fine pumice dust tend to work out well. They do not like to bath in water, and the fur should not be cleaned using soap or shampoo. If a chinchilla gets wet, or is kept in an overly moist environment, fungus can start growing in the fur and skin infections can develop. As a chinchilla owner, it is recommended to read up about the natural environment of the chinchilla and try to mimic it in captivity. The chinchillas are named after the Chincha people. In Quechan languages, chincha (or chinchay) means ocelot. When the first Europeans arrived to this region, the Chincas lived near the Pacific Ocean, in what we today know as southwest Peru. The Chincha Kingdom reached its apex in 900 AD – 1450 AD. Around 1480, it became a part of the Inca Empire. After the Spanish conquest of Peru in the 1530s, the Chinchas were hit hard by disease, violence and political chaos. Demographers have estimated a 99 percent decline in population in the first 85 years of Spanish rule. The Chincha Islands, the Chincha province and the city Chincha Alta are all named after the Chinchas.